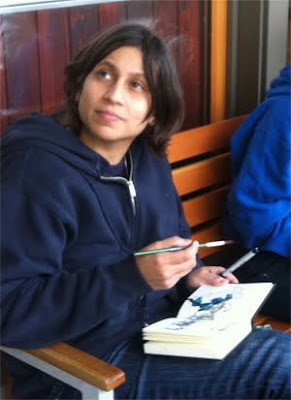 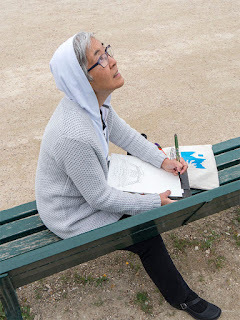 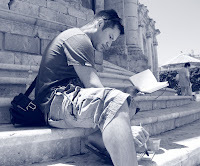 Last Saturday, It was very cold weather to sketch outdoors. 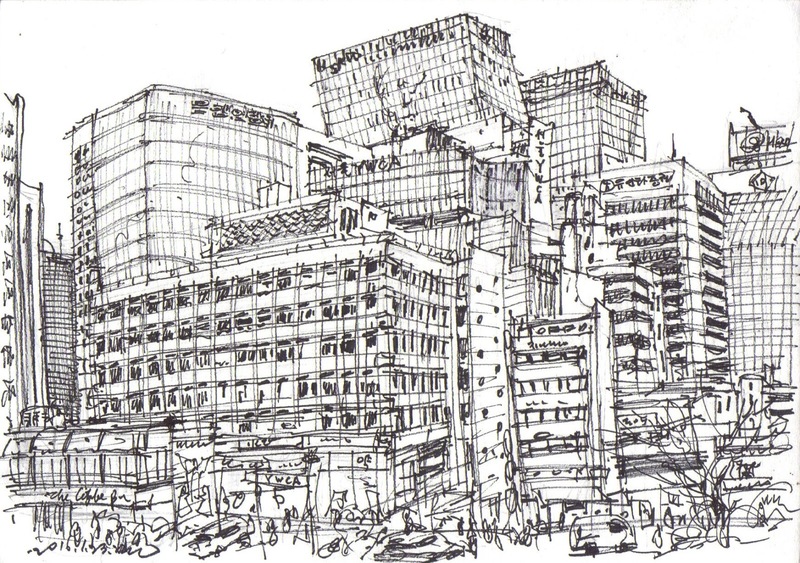 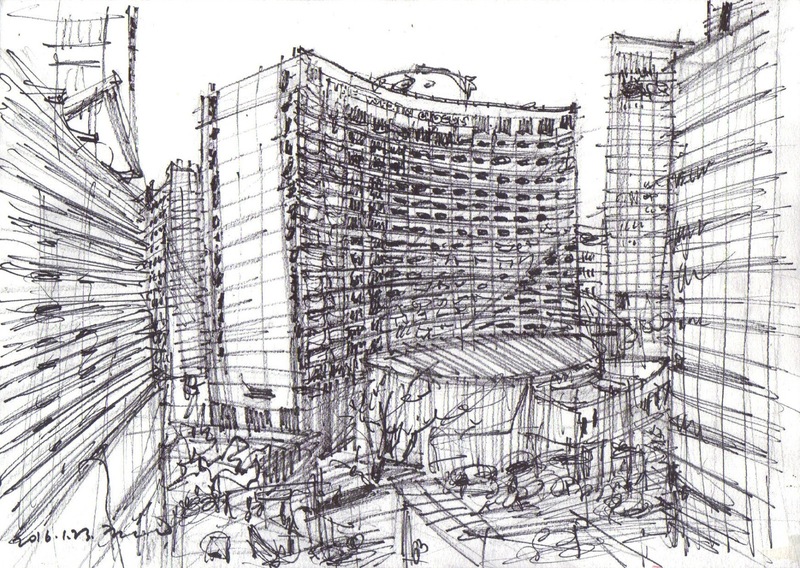 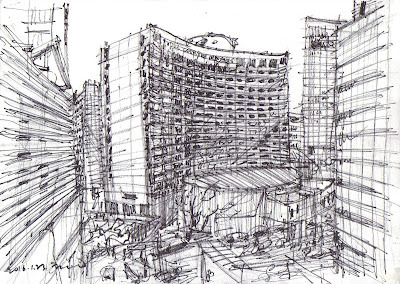 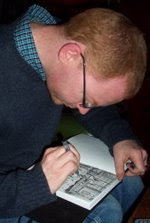 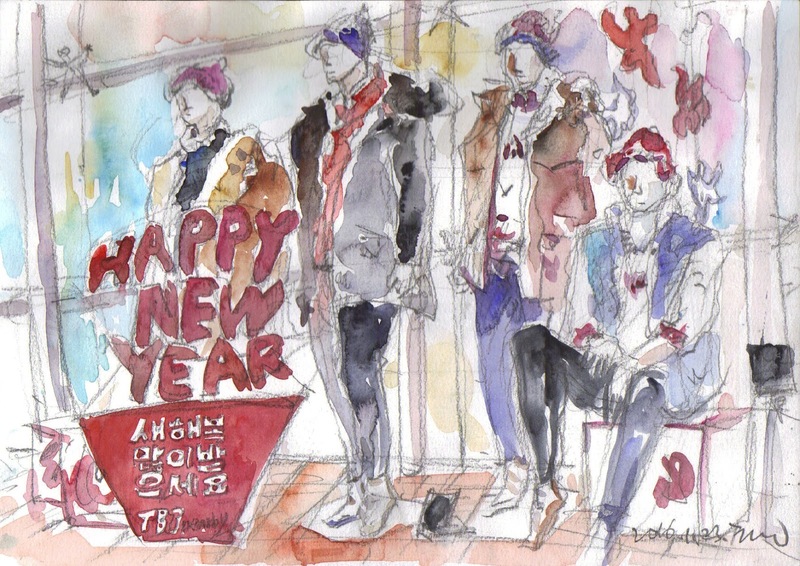 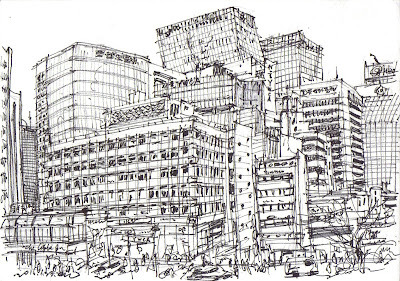 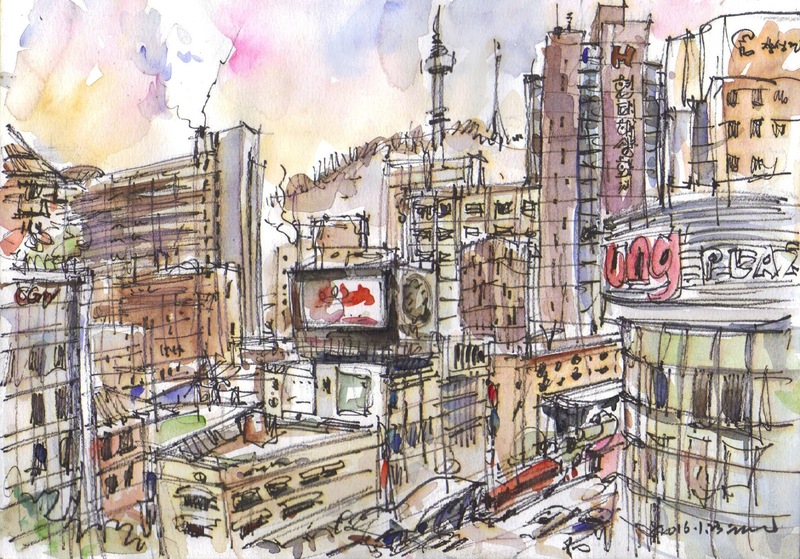 For the 50th World Wide SketchCrawl, Seoul sketchers met at Myeong-dong, which is one of the busiest places in Seoul. 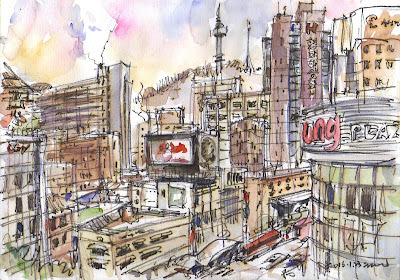 Myeong-dong is a Mecca of commerce and finance, shopping and culture, arts and fashion of Korea and a very popular tourist destination of Jung-gu in downtown Seoul. 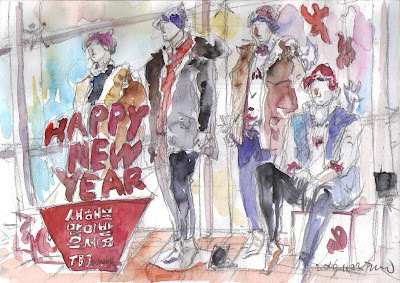 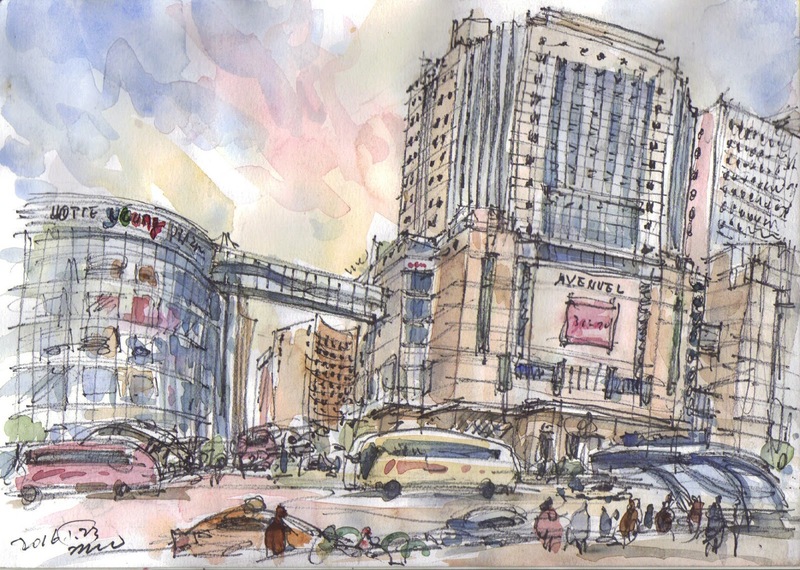 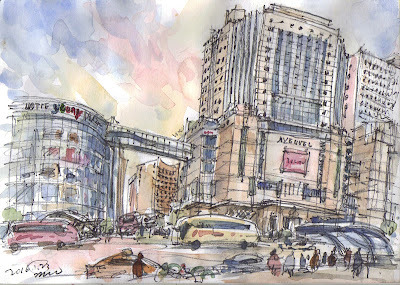 In the morning, I sketched some streetscapes and mannequins in and outside of Lotte Department building. 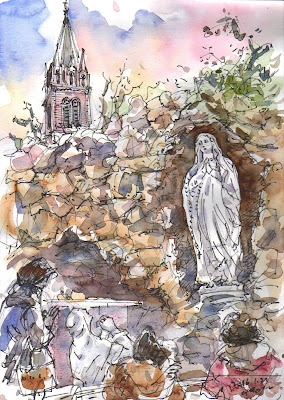 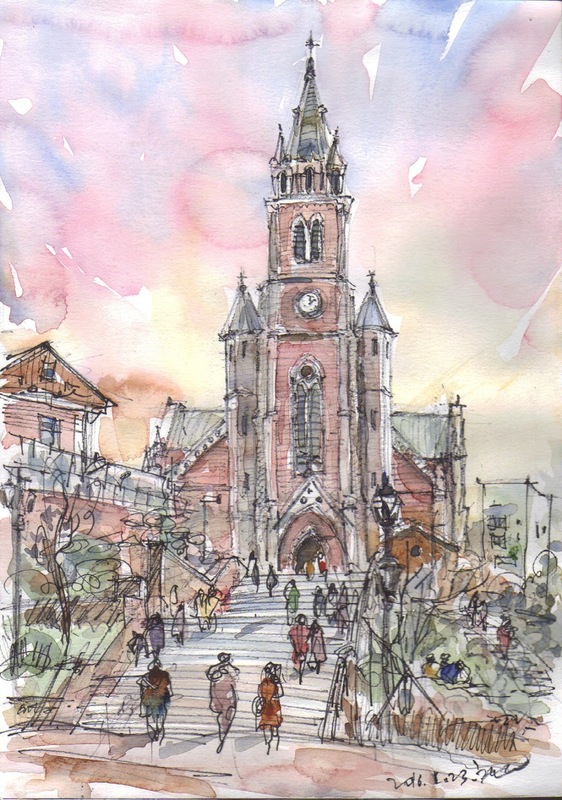 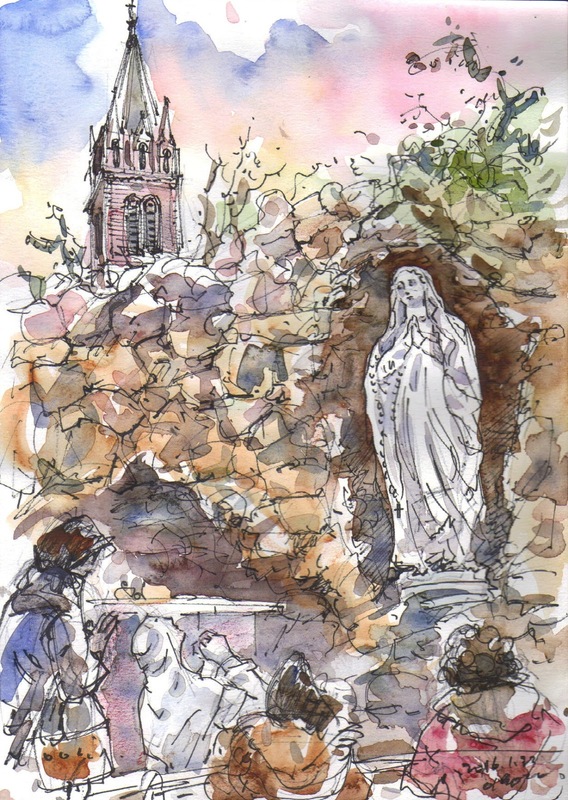 After lunch, I moved to Myeong-dong Cathedral, and sketched colorful sceneries around the quiet cathedral and the bustling streets.